The Damodar Kunda (lake) is famous for Hindi religion. It is situated rain shadow area of High Himalayas north of Annapurna range. The elevation of the Damodar Kunda is just 4890 meters; it is cold and windy place. We will recommend you to visit during the full moon of August because a big festival occurs every year where thousands of Hindu and Buddhist pligrmages visit. Usually, you may visit April to September every year. Festival time will be great for the visit to Damodar Kund. The Tibetan plateau and Damodar Himal to the north and the Annapurna Himalayan massive to the south can be seen clearly. 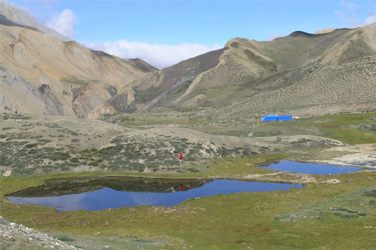 The Damodar lakes are located three Daywalk from north east of the main Mustang trekking route & very close to Tibetan border. 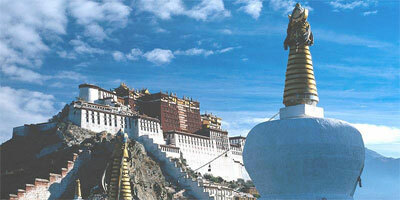 Damodar Kunda lies on restricted upper mustang between Kagbeni and Muktinath. Day 12: Yara trek to Bas Khola. Day 13: Bas Khola trek to Damodar Kund (Lake 5200m.). After breakfast, tour guide will take to you for full day sightseeing in historical monuments sightseeing places including Boudhanath (biggest Buddhist stupa), Pashupatinath temple (A biggest Hindu temple) & Bhaktapur durbar square then drive back to Hotel. While you are on trekking, days begin with breakfast at the tea house you stay, you will need to pack up your duffle bags / trekking bag before breakfast, as porters will set off early. After breakfast approximately 2-3 hours of trekking you take a break for lunch somewhere in the trail. After a relaxing lunch, you typically spend around 2-3 hours or even more sometimes on the trail before reaching your stopping point. Throughout the day, you will take frequent rest beaks and take time to admire the fascinating mountains views. You take plenty of pictures of yourself with incredibly panoramic mountains, rivers, landscapes, prayer flags, temples, shrines, cairns, monasteries, etc. Once you arrive at your teahouse, you take a brief rest or simply relaxing with a book and catching up on your diary. Dinner is generally around 7pm. Your baggage is restricted to 25kgs in two people. The duffle baggage is carried by porters and is not available to you during the day. Your daypack should contain all that you need during the day. This generally consists of warm clothing, water bottle, camera gear, sunscreen, lip salve etc. Your guide will let you know each evening of any extra items you will need for the following day. If you have a comfortable daypack you load will only be a few kilograms and hardly noticeable. Kathmandu part we includes breakfast but trekking we includes three meals (Breakfast, Lunch and Dinner) a day in tea house / lodges that you can choose from teahouse / restaurant menu but if you are on big group at that time your guide / team leader will choose the food for you. Meals are generally available Nepalese and continental on different taste in everyplace but you have to eat the meals in same tea house where you are going to staying at night but if you are staying in tented camp (Camping) then our cook prepare food and provide to you. 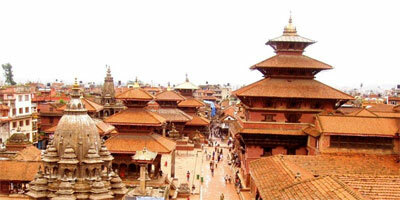 Accommodation in Kathmandu is on a twin share basis with private facilities. Whilst trekking accommodation is in Trekkers lodges / teahouses and is of a basic (normal) standard. Twin Rooms or multi share with basic shared toilet facilities. Hot Showers are available in some places but they will charge directly to client when they ask for hot shower and if you wish to book tented camp (Camping trekking) instead of teahouse we will provide two men tent for two people to share the accommodation on tent camp. Transportation within Kathmandu valley is done with Cars or Jeeps, Van, Hiace, Coaster bus, Mini bus, Coaches depending upon the group size. In trekking region, transportation mean is hiking and in some cases Yaks / horses / mules / donkeys are used for baggage carriage. In this trekking route, hiking is the major mean of transportation while your baggage will be carried by porters and/or animals. The Guide is in overall charge of the trek and looking after you. This is the person you should go to with all problems, concerns and questions. All our guides are trained in all aspects of trekking, conservation, high altitude medicine, and first-aid and emergency procedures. They are professionals selected for their knowledge and passion for Nepal and its peoples, remember they are local guides and their English may be basic and limited to trek-related topics. Transport your duffle bags / rucksack – one porter for every two trekkers in Tea house trekking and camping (Tented camp) trekking it is depend on luggages/equipments that we need for your camping trekking. it is impossible to have a ‘foolproof’ grading system as everyone has different expectations and perceptions of their own fitness level. Remember that no trek in the Himalaya is a stroll as all involve going up and down at altitude and that altitude affects everyone differently. Regardless of age or fitness, preparation before you arrive is essential. Aerobic activity, swimming, cycling or brisk walking is recommended or, at the very least, walk up and down stairs in your trekking boots but some can do this trekking without did any preparation of trekking. It is best to bring a mixture of cash and traveler’s checks in major currencies-In Nepal, some of the currencies are banned for conversion and you must find the convertible currencies in Nepal. USD, CAD, EUR, and AUD are generally convertible. Ensure you have a mixture of large and small denominations. 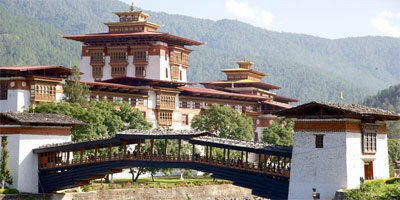 You should exchange enough money into Nepalese Rupees to last the entire time of your trek before leaving Kathmandu. You can find the money exchange counters near your hotel and there are no exchange facilities in villages / trekking trails. Tipping is a personal and voluntary matter and tips are not included in the trip price but who will working for you they are expect the trips so you can give trips directly to them at end of your trekking / tours and tipping is not any limitation so you can give trips as much you like if they will make you happy. your Travel insurance is not included in the trip price. It is essential that you take out comprehensive travel insurance prior to your trek. Your travel insurance must provide cover against personal accident, medical expenses, emergency evacuation and repatriation (including helicopter evacuation) and personal liability. We also recommend that it cover cancellation, curtailment and loss of luggage and personal effects but our company is included trekking crews’ against personal accident. There are no specific health requirements for travel into Nepal. However, for the trekking in Himalayas, you are in excellent health with average physical fitness and have positive attitude, self confidence and strong determination, you can accomplish this trek successfully but you should consult your doctor for up-to-date information regarding vaccinations, high altitude medication and medications for any reasonably foreseeable illnesses whilst traveling in Nepal. Some part of trekking have a small health post for emergency treatment with limited equipments, limited health workers and medication. Be aware that some drugs, including anti-malarial, have side effects at altitude. Please discuss this carefully with your doctor. Please be aware that you will be in remote areas and away from medical facilities for some time during this trip. We strongly recommend that you carry a personal First Aid kit as well as sufficient quantities of any personal medical requirements (including a spare pair of glasses). AMS (acute mountain sickness) is a serious issue. It is the result of the failure of the body to adapt to high altitude and can affect anyone, regardless of age or fitness. It usually occurs above 1,800 meters and the likelihood of being affected increases as you ascend. The way to reduce the affects of altitude is to ascend slowly, 300 meters per day above 3,000 meters until you have acclimatized. Poor acclimatization results in headache, nausea, sleeplessness, difficulty breathing and swelling of fingers and glands. The only cure for AMS is to descend to lower altitude and your guide’s decision on this matter is final. When you are planning to trek above 3,000 meters we recommend not walks faster. If you will get altitude sickness please consult with your guide to go down at least 500 meters to recover. Multiple entry visas are available on arrival at Kathmandu airport and all land borders except the citizens of Nigeria, Ghana, Zimbabwe, Swaziland, Cameroon, Somalia, Liberia, Ethiopia, Iraq, and Palestine, Afghanistan. Multiple entry visas can be obtained from the immigration points costing US Dollars 25 or other convertible foreign currency equivalent thereto for 15 days multiple entry visas, US Dollars 40 or other convertible foreign currency equivalent there to for 30 days multiple entry visa, US Dollars 100 or other convertible foreign currency equivalent thereto for 90 days multiple entry visa. you will need to bring a comfortable medium sized daypack to carry the things you will need during the day. This should have a waist strap or (better) a padded waist belt. Socks, several pair of heavy wool outer socks and a few pairs of nylon inner socks. Some other worm cloths . The price will be depending on service quality that you are going to use accommodation (Deluxe, Standard & Budget) in cities and entire the trekking either way Camping (Fully tented camp) so better to mention us what you are expecting? Please click here to request the price. If above trip itinerary that doesn't suit to your holiday schedule or you wish to modify the itinerary or combines with any travel plans, then please let us know and we'll be happy to create a tailor made itinerary, designed especially for you. 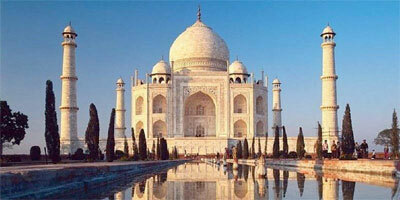 Please click here for tailor made trip form.